From frozen pet food to freeze-dried, dehydrated, air-dried, baked, and even toppers – how do you know which option is best for your pet? The most important factors to consider are nutrition and convenience. Raw frozen pet foods are the least processed and one of the most nutrient-dense foods you can feed your pet. Frozen raw food is full of moisture, as well as live bio-available enzymes. These wholesome raw meat diets have the vitamins and minerals your pet needs for a balanced diet, often from added fruits and vegetables. A drawback of feeding a raw diet is the risk of cross-contamination between you and your pet’s food, and foodborne illness. You can learn more about feeding your pet a raw-based diet on our blog. Excellent options for raw pet foods include Primal Pet Food, Steve’s Real Food, and Stella & Chewy’s. Shop raw pet food online for in-store pickup. Dehydration is accomplished by circulating hot, dry air across the food in order to remove its water content. The moisture from the air then is removed as well, to further dry the food. The temperatures are high enough to remove the water without cooking the food, in order to preserve its nutrition, although some vitamins and minerals can break down during dehydration. This process removes approximately 90-95% of moisture. These foods re-hydrate within 5-10 minutes. 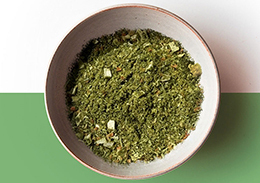 The most popular option for dehydrated pet food is The Honest Kitchen. Shop dehydrated pet food online. To freeze-dry food, it is placed inside a vacuum chamber that lowers the temperature to below freezing, and moisture is drawn out by slowly raising the temperature. The food’s water content passes into a gas, depleting the food of moisture. The freeze-drying process is gentle and preserves the nutrition of the raw food. This process removes about 98-99% of moisture. These foods re-hydrate within 2-3 minutes. Excellent options for freeze-dried pet foods include Primal Pet Food, Steve’s Real Food, Stella & Chewy’s, K9 Natural, Open Farm, Grandma Lucy’s, and Under the Weather. Shop freeze-dried pet food online. 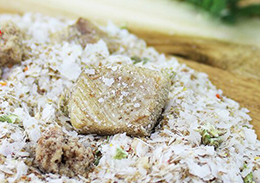 Raw pet food that has its moisture content removed via evaporation is considered air-dried. This process is similar to the dehydration process, but it is done without heat. This minimizes damage to proteins, vitamins, and other nutrients and enzymes from the food in its original raw state. These foods are very similar to freeze-dried, although they do not require re-hydration before feeding. The end product is a bit like jerky, with much more moisture content than traditional kibble. The most popular option for air-dried pet food is Ziwi Peak. Shop air-dried pet food online. 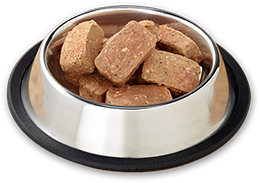 Baked kibble is a nice alternative to traditional kibble since it is less processed and thus digests much easier. The gentle baking process retains more naturally-occurring probiotics, enzymes, and nutrients your pet needs since it’s cooked at a much lower temperature for a shorter amount of time. It also holds more flavor than traditional kibble, so it’s a great option for picky eaters. 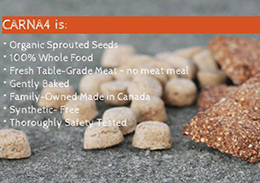 The most popular option for baked kibble is CARNA4. Shop CARNA4 pet food online. 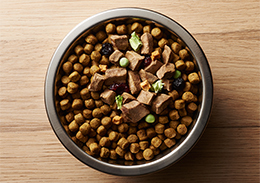 Pet food toppers are a great way to add extra nutrition without overhauling your pet’s entire diet. Nutrient-dense bone broth, goat’s milk, grass-fed kefir, and pumpkin are all great ways to supplement a high quality kibble diet. You can learn more about feeding your pet pumpkin on our blog. Shop pet food toppers online. There are many great ways to provide your pet with the nutritious, balanced diet they need to thrive. Many pets with allergies or sensitivities do great on alternative pet foods like the ones described above. 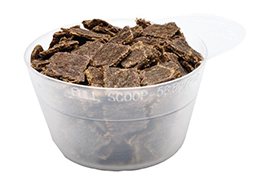 The time required to re-hydrate or thaw food will not fit into every lifestyle, and air-dried or baked food may work best, or even pet food toppers. Our helpful and knowledgeable staff are always eager to help you determine the best diet for your pet, so if you still have questions, get in touch.